In the long-awaited, hilarious and heartfelt follow-up to There's a Bear in There we follow Merridy Eastman's fortunes in search for true love. Merridy Eastman's been ditched by her builder boyfriend for a waitress named Nancy, but everyone seems to think she'll find Mr Right very soon. In England, to be specific, where she will be spending three months on her wacky sister's sofa bed. The age-old tale of Australians trying to make it in the UK gets a new twist as Merridy encounters the class, culinary, cultural and communication eccentricities of the English. 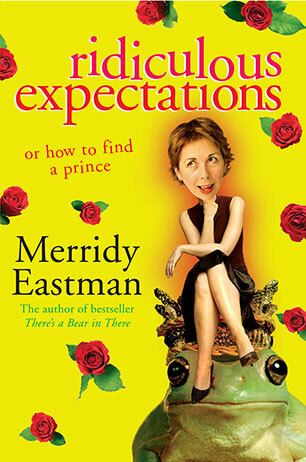 Will Merridy find her prince at last, or does she have ridiculous expectations of men? Are English men really any different to Aussie blokes? Should she hold out for true love? And will her family ever behave like normal people? This is real life chick lit for grown-up girls with all the characteristic humour and compassion that made There's a Bear in There such a hit. Does Merridy find her prince? You'll have to read on . A NIDA graduate, Merridy Eastman has performed in a swag of productions for the Melbourne and Sydney Theatre Companies and spent several summers leaping about botanical gardens across Australia, bringing Shakespeare to the masses. She has had major roles in most current soap operas, playing everything from a cradle-snatching golf fanatic on Neighbours to an unstable funeral director on Blue Heelers who was so unhappy with a bad haircut, she stabbed the hairdresser with his scissors. She also played the neurotic Eileen Unn on Channel Seven's Always Greener. Despite this varied and illustrious career, Merridy has come to accept that for generations of kiddies she will always be Merridy-from-Play School thanks to a five-year stint on the show in the 1980s.